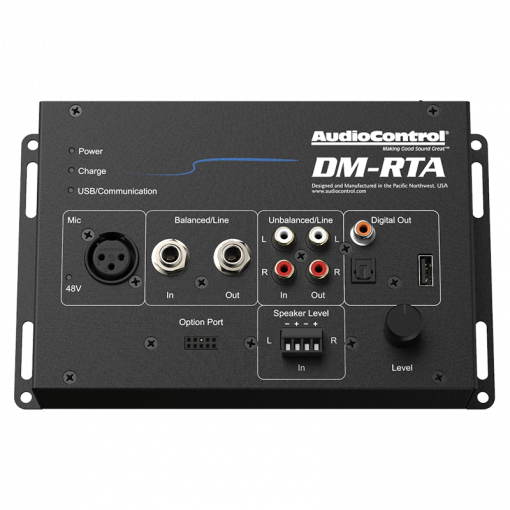 Building from a legacy of trusted professional audio measurement products, DM-RTA™ brings the vital tools you rely on to one indispensable little box. 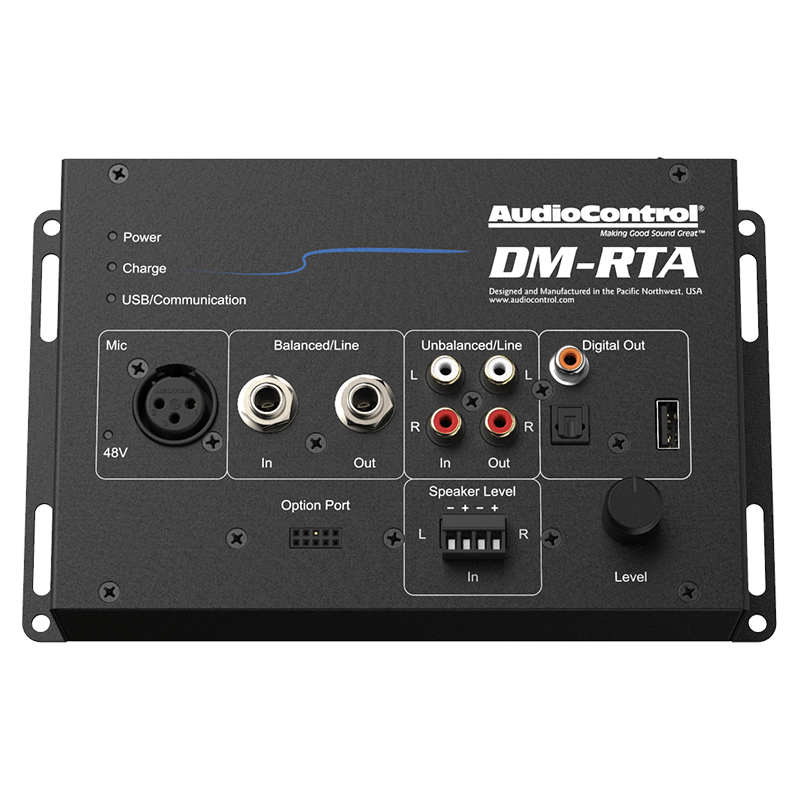 Populated with every connector we could think of, and coupled with the new DM-RTA app, AudioControl’s DM-RTA helps you take your car audio, marine audio or home theater installations to new levels of perfection and control. DM-RTA isn’t just an RTA. Accessible from the app are five modules, including Voltage Meter, RTA, SPL Meter, Polarity Checker and a fully functional Oscilloscope.